Our catering team offer delicious, good value catering for everything from small meetings to working lunches and evening receptions. We can satisfy any appetite and accommodate most specific dietary needs. We're also committed to minimising the environmental impact of our catering services and use many Fairtrade ingredients. Download our Hospitality Brochure (PDF File 943 KB). 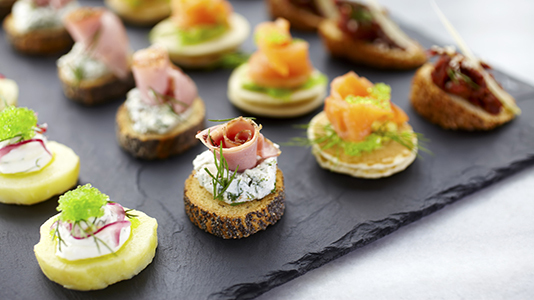 If you wish to book catering, please liaise with the Venues team when you are booking the space you wish to use.